Today is B in the Alphabet Challenge. This is my bath basket. 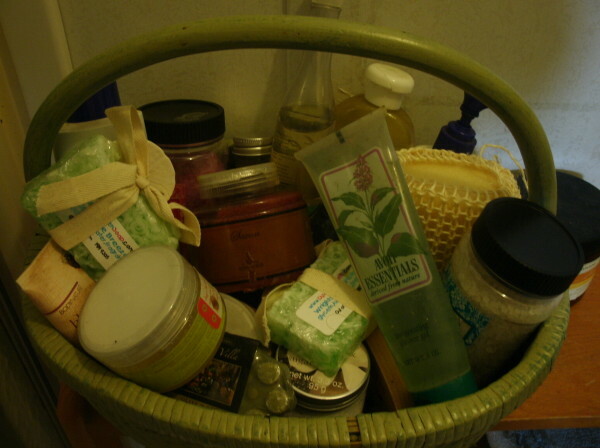 I made it the day after my LUSH bath by gathering all my assorted bath products together. I didn’t realize I had quite so many! You know, before I had kids, I spent at least an hour a day in the tub. It was a ritual, and one I greatly enjoyed. But it is a very hard habit to get back into, this indolent pampering of me. But I do enjoy it, and I have the stuff, and…yeah, I think daily is a little much, but certainly …dare I say weekly? Could I possibly make time and energy to take a delicious bath and give myself a manicure once a week? Let’s see! 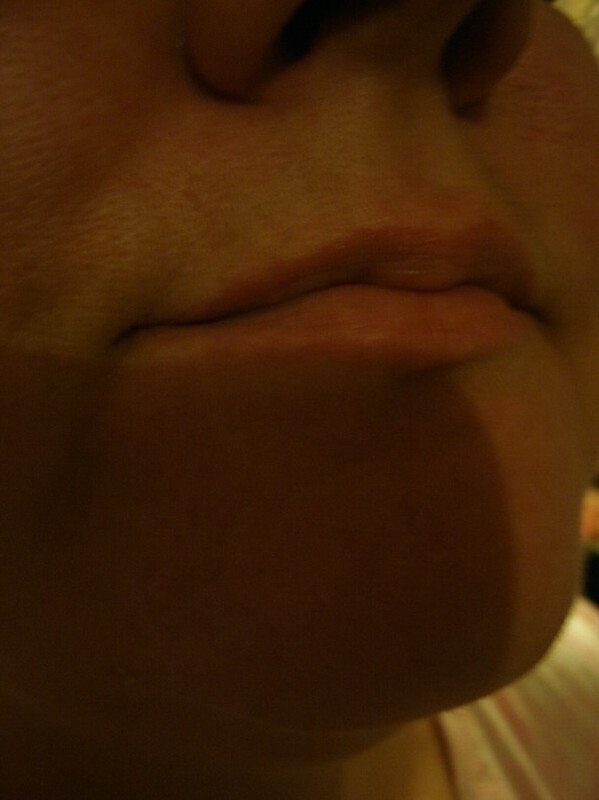 Yep, that’s my mouth, and I took the picture while reminding myself to smile. Do you begin to see the problem here? This is an example of flat affect. I don’t show emotion on my face. If I am smiling, it is because I have told myself to do it, or I am at 15 on a scale of 1-10. And do you know what else? I get sick and damn tired of people asking me “what’s wrong?” Because nothing is wrong. This is my face, and there is nothing wrong with it. Now if I am crying, you can ask. This entry was posted on May 7, 2013, in cass takes pictures, cass talks about herself. Bookmark the permalink.